Aside from a casual interest, I first became really intrigued with the "King Farouk auction" after purchasing a copy of Abe Kosoff Remembers , a compilation of Coin World articles on various topics by the "Dean of Numismatics." Mr. Kosoff had devoted an entire chapter to "The Farouk Story,"which described the famous Palace Collections of Egypt coin auction, featuring the numismatic collection of the former King Farouk of Egypt, that took place at Koubbeh Palace, Cairo, in February and March 1954. As I read Abe Kosoff's reminiscences of the long-ago auction, I felt that the "Cairo coin caper" was the ultimate numismatic adventure. 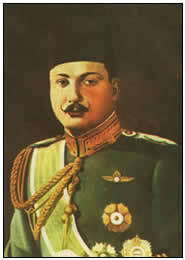 King Farouk: Personifying "the Hobby of Kings"
King Farouk the First of Egypt, who reigned from 1936 until 1952, was a prolific collector. His taste for the rare and unusual was the catalyst for his assemblage of a diverse collection of items from around the world, even including some unsavory "collectibles." His coin collection included an estimated 8,500 gold coins and medals. King Farouk made most of his coin purchases in the 1940s, in an era when a numismatic dollar (and an Egyptian pound) went a long way. Several American dealers supplied the king with coins, but they soon discovered that a downside to selling to him was that it usually took a long time to receive payment, especially if the invoice totaled more than $10,000. The larger invoices had to be routed to the Egyptian treasury, significantly increasing the time it took for the payment to be received, whereas the king had the authority to authorize payment of the smaller invoices. Not surprisingly, the American dealers soon learned to limit the invoices to less than $10,000. When all was said and done, King Farouk had amassed one of the largest, most important collections of coins in the history of numismatics. After the Egyptian military forced King Farouk to flee the country in 1952, the American coin dealers had a great interest in what was to become of the Farouk Collection. Abe Kosoff goes into great detail in his book concerning the pre-sale uncertainty and negotiations that took place. 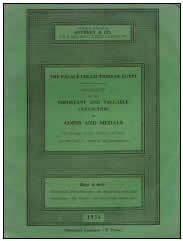 Eventually the Egyptian government established a sale date and the London firm of Baldwin & Co. was hired to describe the coins, with Sotheby & Co. publishing the catalog. The coins and medals volume was one of a set of Sotheby catalogs entitled The Palace Collections of Egypt , which offered several categories of the king's collectibles, but did not mention King Farouk by name. Because Fred Baldwin had to catalog the coins in Cairo, under military guard, and in a short period of time, it was not possible to do the great collection justice. Due to its sheer size, most of the coins were sold in large lots (often with fifteen or twenty coins per lot), sorted by denomination, with a variety of dates and mintmarks. Thus, most lots had a combination of rare and common coins. A number of well-known American dealers and collectors attended the sale in Cairo. Dealers in attendance included Abe Kosoff, Sol Kaplan, Bob Schermerhorn, James Randall, Paul Wittlin, and Hans Schulman. Prominent collectors included John J. Pittman, Gaston DiBello, and Ambassador & Mrs. R. Henry Norweb. A number of factors prevented the coins from reaching their optimum value at the auction. These included the remote location, the uncertain financial arrangements, the political instability, the large lots, and the awkward manner in which the coins were presented for lot viewing. Collectors such as John J. Pittman realized the true opportunity to acquire important pieces at "fire sale" prices and made the most of it. Mr. Pittman reportedly took out a second mortgage on his residence to finance the trip and his purchases, which turned out to be among the most significant of his numismatic career. The sale was complicated by the fact that King Farouk had outstanding bills in excess of $300,000 from dealer Hans Schulman. After much uncertainty and following negotiations with the Egyptian government, an arrangement was made whereby Mr. Schulman was issued a credit in the amount of the due bills, against which auction purchases could be made. In order to recover his financial interest, Mr. Schulman became a major buyer at the auction, often allowing other dealers to obtain coins from his repurchased lots. After reading about the "cloak and dagger" surrounding the King Farouk auction, I was fascinated!I wanted to acquire a King Farouk piece that would fit my specialty, Dahlonega gold coins. Not long afterward I had occasion to attend the Anniversary Convention of the American Numismatic Association, held in late July 1993 in Baltimore, Maryland. I can remember fantasizing as I flew on the jet from Atlanta to Baltimore, pretending that I was on my way to Cairo, Egypt in 1954 for the King Farouk auction. I really enjoyed the convention, which I attended with my father. One of the items that I acquired in Baltimore was an original copy of the coins and medals volume of The Palace Collections of Egypt , obtained from numismatic literature dealer Charles Davis. It didn"t take me long to search out the large lots of gold coins that contained Dahlonega pieces. One aspect of the catalog was disappointing, from a research standpoint. Not a single Dahlonega coin was plated in the catalog. Even if some had been, it probably would have been of only marginal value, as the catalog is well-known for the abysmal coin photography. It was obvious to me that it would be impossible to trace a Dahlonega coin to the Farouk auction based on the Sotheby catalog alone. At the convention I also had my first lesson on the value of the Farouk pedigree. An XF40 1844-C half eagle traced to the Farouk auction, which catalogued for $2,700, brought $5,720 in the Heritage Numismatic Auctions sale in Baltimore. I also got to meet Farouk auction attendee John J. Pittman at the convention. 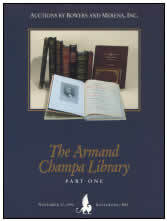 In November 1994, Bowers and Merena held the first of the Armand Champa Library auctions. Mr. Champa, a well-known collector of numismatic literature from Lexington, Kentucky, owned one of the finest, most complete numismatic libraries. Many of his books were beautifully bound by master binder Alan Grace. His library ultimately realized over one million dollars in the four Bowers and Merena sales. One item from the first Champa sale really piqued my interest. It was lot 493, dealer Sol Kaplan's "sales room copy" of The Palace Collections of Eqypt coins and medals catalog, magnificently bound, presumably by Alan Grace, in green half morocco. Most importantly, Mr. Kaplan had recorded the buyers of the lots in the American section of the sale. What an important research tool this would be! The lot was estimated at $750. I took a deep breath and sent in a mail bid of $1,100. I called Bowers and Merena at the earliest opportunity and I was very disappointed to learn than I had not been successful. Thankfully, I had the presence of mind to ask to speak with Rick Bagg, Bowers and Merena's auction director. I told Mr. Bagg that I was the underbidder for lot 493 and was concerned that very important information was about to slip away. I gave him the lot numbers of all of the Dahlonega coins in the Farouk catalog and he was most kind in transcribing the buyer's name for each of the lots, from Sol Kaplan's annotations, which he sent in a subsequent letter to me. Thus, even though I did not have the annotated catalog, I had the salient information it contained, at least for the Dahlonega coins. In the letter from Bowers and Merena, I recognized several well-known numismatic names as being the winners of the lots containing the Dahlonega pieces, including Pittman, DiBello, Kosoff, Kaplan, and Schulman. The first two were the most significant, since they were collectors, where the coins could be more easily traced. According to the letter, (John J.) Pittman had purchased lots 248, 249, and 251 in Cairo, which contained the following Dahlonega half eagles: 1838-D, 1839-D, 1840-D, 1841-D, 1842-D small date, 1842-D large date, 1847-D, 1848-D, 1849-D, and 1850-D. The Bowers and Merena letter also stated that (Gaston) DiBello, a Buffalo, New York collector who won many awards exhibiting his coins, had purchased lot 253 in the Farouk auction, which contained the following Dahlonega half eagles: 1855-D, 1856-D, 1857-D, and 1858-D. I knew that Gaston DiBello's gold coins had been auctioned by Stack's in May 1970. A quick perusal of the DiBello catalog indicated that none of the 1855-1858 Dahlonega half eagles were identified as having been from the Farouk auction, nor were any of them plated, a situation that did not advance my numismatic sleuthing. Nonetheless, I knew that if I ever saw one of these DiBello Dahlonega half eagles in a future auction, my pulse would quicken. The problem with the DiBello pieces would be how to prove that the coins sold in 1970 were the same ones he acquired in Cairo 16 years earlier. I thought that the most fruitful possibility lay with the Pittman coins, since he was still active and had acquired more Dahlonega pieces from the Farouk Collection than had Mr. DiBello. I wrote a letter to Mr. Pittman, who lived in Rochester, New York, asking if he would entertain an offer on any one of the Dahlonega pieces obtained from Farouk. I proposed that we meet at the Early Spring ANA Convention to be held in Atlanta in March 1995. Unfortunately, I never received a reply. 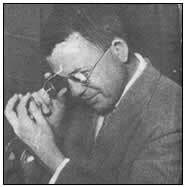 Only later did I learn that Mr. Pittman had been ill. Numismatics lost a great one when John J. Pittman died in 1996. As with many other numismatists, I eagerly awaited the first Pittman auction catalog, splendidly produced by David Akers. This part of the collection, to be auctioned in Baltimore in late October 1997, included all of Mr. Pittman's Dahlonega half eagles. Much to my delight, each of the 1838-1842 and 1847-1850 Dahlonega half eagles in the Pittman sale were attributed to King Farouk, and earlier to the Col. E. H. R. Green Collection. My sense of anticipation and awe for this sale was undeniable. I was determined to go to the auction. As I was in pursuit of one of the King Farouk pieces, I could not resist once again comparing this adventure to the 1954 trip to Cairo. As my wife had to remain home with my son, who was enrolled in the first grade, my mother accompanied me to Baltimore. My father (and long-time partner in numismatics) had passed away in 1993. In Baltimore, after examining all of Mr. Pittman's Dahlonega Mint coins, each of which was uncertified, I had the most interest in the 1839-D half eagle, mainly because of the outstanding eye appeal and the fact that it is a "one-year type" coin. The piece, graded about uncirculated by David Akers, but looking very much AU58 to my eye, was hammered down for $10,450, including the buyer's fee, a bit more than I felt comfortable in bidding. All of the Dahlonega coins that were pedigreed to the Farouk auction brought strong prices, even the 1849-D half eagle that was bent so severely that it looked as if it would rock back and forth. I was so disappointed at losing the 1839-D half eagle, as well as being stunned by the strong prices, that I came away with nothing. Later I purchased the Pittman 1855-D half eagle from Dallas dealer Doug Winter, a well-known rare gold specialist, as a memento of the Pittman auction, albeit non-Farouk. I felt discouraged about the prospects for tracking down a Farouk piece for my Dahlonega collection. Every time I had seen a Farouk Dahlonega or Charlotte coin auctioned, it had brought a strong, if not downright runaway price. 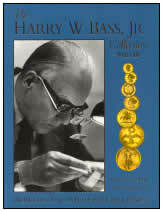 The next chapter in this numismatic narrative involves the sale of the Harry W. Bass, Jr. Collection of gold coins. A portion of the Bass holdings was to be preserved by the Harry W. Bass, Jr. Research Foundation, based in the late collector's long-time city of residence, Dallas, Texas. These coins were reported to consist primarily of the pre-1834 issues that illustrated his studies in the field of gold coin die varieties. 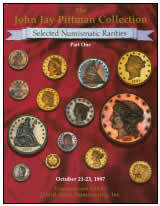 The numismatic world had eagerly awaited the dispersal of the remainder of the Bass coins, since it was announced that Bowers and Merena would auction the pieces in a series of sales, beginning in the spring of 1999. This important collection eventually realized over 38 million dollars in the four sales, overtaking John J. Pittman for the second most valuable collection in American numismatic history. The top spot is still held by Louis E. Eliasberg, Sr., at over 44 million dollars. 1856-D, per my earlier Bowers and Merena letter. The problem for me was that this coin was uncirculated and was probably going to be out of my price range. I was also a bit wary of this date, since I knew that there was a large, recently discovered hoard (reportedly over 40 pieces) of uncirculated 1856-D half eagles, some of which had already started appearing in the marketplace. This coin also had a large copper streak on the obverse, which detracted a bit from the overall appearance. At the sale, the piece realized $10,925, including the buyer's fee. I felt that the coin would have brought much more if the bidders had known that the piece was probably from Farouk. The third Bass sale, held in late May 2000, offered a better opportunity for me. Lot 479 was Gaston DiBello's 1858-D half eagle, which was also one of the dates that he had purchased at the Farouk auction. As with the 1856-D half eagle, it was not listed in the Bass catalog as being from Farouk. The piece was in a PCGS AU55 holder. I really felt that this might be the chance for me to obtain that illusive Farouk pedigree. Aside from the obvious task of obtaining the coin at auction, I was also faced with the burden of quickly proving that the piece was from the Farouk sale. Part Four of the Harry W. Bass, Jr. Numismatic Library sale. One of the lots, no. 284, really jumped out at me. It was the fabled photographic record of the Col. Green half eagles, the very coins that were reportedly sold intact to King Farouk. I knew instantly that this could be the evidence that I needed . entertained the idea of getting several collectors to go in with me and purchase the Col. Green half eagle photo album, which was estimated at $2,500, but I was not able to pull it off. As it turned out, the lot went for huge money, bringing $13,200, including the buyers fee. I also knew that Stack's had a copy of the Col. Green half eagle photo album in their library in New York. I decided to call Harvey Stack and see what I could find out. Mr. Stack was very helpful and spent considerable time telling me what he knew about the album, as well as the Col. Green and Farouk coins. He said that the Chase Bank in New York handled the Col. Green estate (following his death in 1936). Col. E. H. R. Green was one of the richest men in America, being the son of the infamous Hetty Green, better known as "The Witch of Wall Street." He was a hoarder, and there were enough coins in his estate for two sets of quarter eagles, half eagles, and eagles. There were also numerous double eagles. Stack's reportedly acquired the coins from the estate slowly, over a period of years, circa 1943-1945. The coins were sorted by Stack's into a number 1 set and a number 2 set, with the number 1 set having the better pieces. Mr. Stack said the number 1 quarter eagle, half eagle, and eagle sets were photographed circa 1945-1946 by Stacks staff photographer, Sam Andre´, who also worked for PIC magazine (a large format competitor to Life ), and were made up into individual photo albums. Mr. Stack believes that three sets of the albums were made. One went to his father, Morton, and one to his uncle, Joseph. The third set went to an American collector named Clifford T. Weihman. Mr. Stack said they had misplaced his father's set, his uncle's set was in the Stacks library, and the location of the third set was unknown. I wondered if the two volumes from the Kolbe auction could be part of the third set. 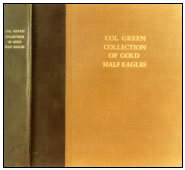 I have since learned that numismatic researcher John Dannreuther has evidence that at least one of the coins in the Col. Green half eagle photo album was not part of Col. Greens original collection. Mr. Stack went on to say that he was fairly certain that the number 1 set of Col. Green's half eagles was sold to King Farouk, circa 1945-1946. He said the other set, presumably the number 2 coins, was sold to the aforementioned Weihman at about this same time. He said Stack's had occasion to handle the Weihman coins again in 1953 or 1954, selling them to pharmaceutical magnate Josiah K. Lilly. It is assumed that most or all of these coins would now be on display in the Lilly Collection in the Museum of American History at the Smithsonian Institution in Washington, D. C. During our conversation, Mr. Stack also gave me a good verbal description of the 1858-D contained in the Col. Green half eagle photo album. Since Mr. Stack did not seem 100% certain that the number 1 set of the Col. Green half eagles (the set that was photographed) went to King Farouk, I wanted to make sure. I e-mailed Dr. Richard Doty, the numismatic curator at the Smithsonian, whom I had talked to in March 2000, at the special striking of the original toggle-joint steam powered coining press at the Franklin Institute in Philadelphia. I sent him the composite description of the Col. Green 1858-D half eagle obtained from Messrs. Kolbe and Stack, and asked him to give me his opinion as to whether or not the 1858-D half eagle in the Lilly Collection was the same coin. I knew that if it was, it would have meant that the number 1 set of Col. Green half eagles went to Mr. Weihman, and then to Mr. Lilly, instead of King Farouk. Dr. Doty was very quick in his response, saying that only the reverse of the coin was visible in the display case, but that he would later gain access to the piece and give me a full assessment. I soon got another e-mail from Dr. Doty, saying that he had "eye-balled" the Lilly coin's obverse and reverse and that it had none of the characteristics of the piece that was described in my e-mail. Thus, this trail was a dead end and the signs were now pointing to Cairo. At this point I felt reasonably confident that the DiBello-Bass coin had come from King Farouk. I soon received an e-mail from Al Adams, a great friend and noted specialist in southern gold coins, who was in New York to attend the Bass III auction, with a description of the DiBello-Bass 1858-D half eagle. After examining the piece in person, he stated that it was "a gorgeous, original coin with light red peripheral toning, with a very decent, even strike. "According to Al, it was a "solid AU55+,"with normal contact marks expected for the grade. Al went on to say that the coin was a beautiful example of one of his favorite dates, possessing "great eye appeal." Al concluded by stating "I think you would like it. I love it". I felt strongly that this was my kind of coin and I asked Al to do his best to obtain the piece. To be absolutely sure of the coin's provenance, I asked Al to go by the Stack's library to see the Col. Green half eagle photos for himself, prior to bidding. The auction was soon upon us. The day that the DiBello-Bass 1858-D half eagle was to be auctioned, Thursday, May 25, 2000, I had a business trip to Auburn University to visit with their Textile Engineering Department. That evening, as the Bass III auction was taking place in New York, our dinner host was Auburn's Dr. Yasser Gowayed, who hailed from Cairo, Egypt. Somehow, I felt that this was a sign that I was going to be successful in obtaining the Farouk piece. As we dined and discussed Cairo, King Farouk, Koubbeh Palace, and the King Farouk auction, my thoughts were somewhere between Cairo and New York. When I returned home the following day, I had an e-mail from Al in New York, which he sent just prior to the auction. He said, "I examined the Col. Green half eagle photo album today at Stack's . I am certain the Bass coin is the coin pictured in the Col. Green photo album. Congratulations on your research. The auction begins in one hour and I will do my best to capture it for you. There was no "post sale"e-mail from Al, so I had to "sweat it out"a little longer. I was concerned that perhaps he was not able to get the coin. I figured that Al was probably back from New York by now, so I picked up the phone and soon discovered that I was the proud new owner of the Col. Green-King Farouk-DiBello-Bass 1858-D half eagle! I had paid "strong money"for the coin, but I was confident that it was because of the eye appeal of the piece, not because of the King Farouk connection (a fact that presumably only Al and I knew). I shudder to think what the price would have been if it had been pedigreed to the Egyptian monarch in the Bass III catalog. Al has an expression that he sometimes uses when he does not particularly like a coin. He says, "It doesn't blow my dress up." After receiving the King Farouk piece, I thought the eye appeal was outstanding, exceeding all of my expectations. I was also thrilled with the coin's provenance, so I sent Al an e-mail right away, informing him that the coin "blew my dress way up high!" My work as a "numismatic sleuth" was now complete. Having obtained my equivalent of the priceless Maltese falcon, I agreed with Humphrey Bogart, playing detective Sam Spade, that this was "the stuff that dreams are made of".